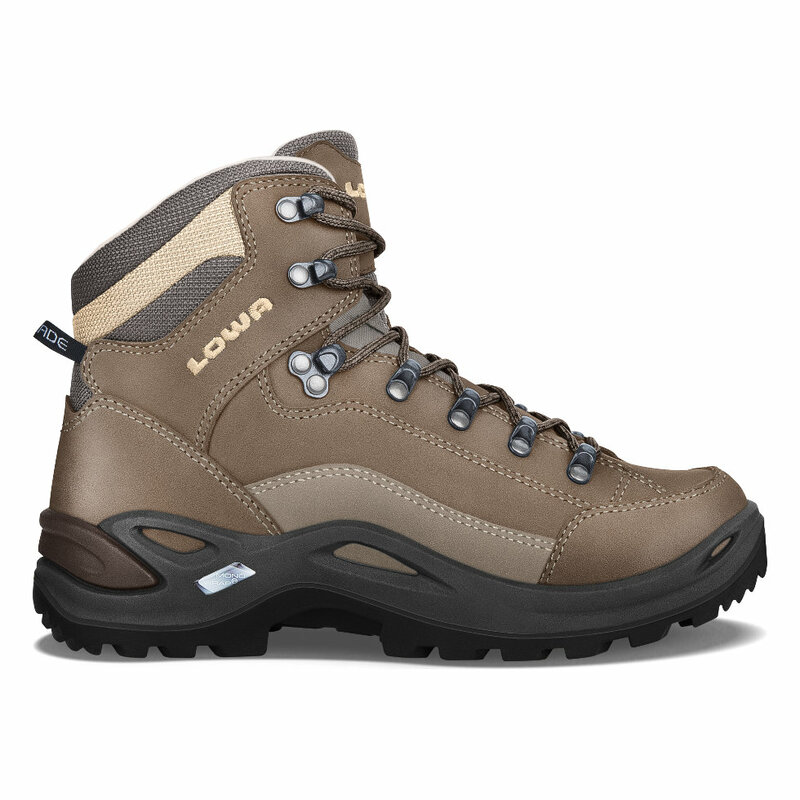 LOWA’s best selling style has been updated with a glove leather lining for those who like a luxurious, close-to-the-foot fit and superb moisture wicking. Ideal for warm climate hiking. Nubuck upper is designed to closely wrap around the foot and is supported with a PU Monowrap® midsole and frame, full length stabilizer and Vibram® Evo sole. Made on a women’s-specific last. Leather linings should thoroughly dry out between wearings. Because leather linings absorb perspiration, just like our skin, they can become soft, if wet. Similar to wet skin that develops blisters, wet leather linings can tear. If you anticipate wearing your leather lined boots for many days consecutively, please lightly wipe the heel pocket with LOWA Waterstop (or similar product). This will slightly inhibit the absorption of moisture and help prevent possible leather tearing.